AIARE Pro 1 Bridge Course Exam: The AIARE PRO 1 Bridge Course & Exam provides training and certification for the avalanche worker who took the AIARE 2 (prior to winter 2017/18) as a step in their professional avalanche education, and is ready to challenge the PRO 1 exam. The PRO 1 Bridge course assumes the applicant is an experienced backcountry rider and working professional, with field practice applying the AIARE Trip Plan, the Communication Checklist, Avalanches and Observations Reference, and the Review the Day checklists found in the AIARE (blue) field book. Upon successful completion of the course and achieving a passing grade the student will obtain an AIARE PRO 1 certificate. AIARE Pro 1: The Pro 1 is a 5-day course and the first of the Professional courses, and is similar to the traditional AIARE 2 course, with the addition of an evaluation. 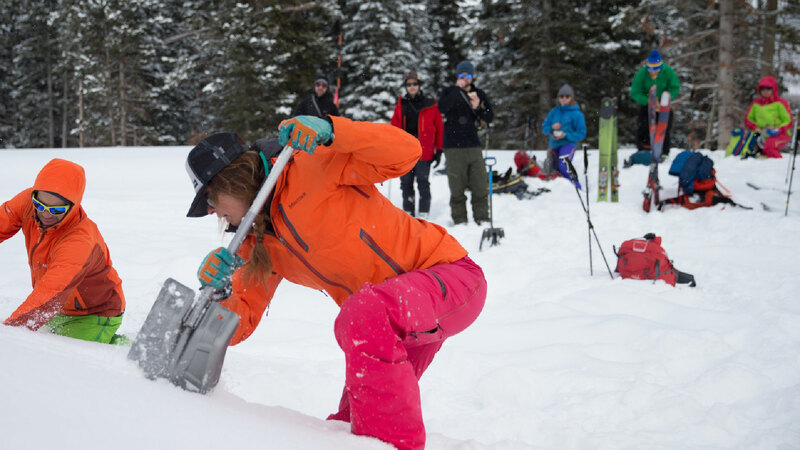 The Pro 1 course is a Pass/Fail course and is designed to train and certify workers new to the avalanche industry (educators, patrollers, guides, forecasters). We will cover skills essential to the workplace including conducting weather, snow and avalanche observations, making an assessment of basic hazard and risk factors, participation in team meetings, succinctly communicating observations in the field, and applying basic safe travel protocols in avalanche terrain. AIARE Pro 2: The Pro 2 course is an advanced certification course for experienced and professional avalanche practitioners, professional guides, patrollers and advanced recreational backcountry travelers. The course is 6 days long, has a maximum student to instructor ratio of 5:1, and is a pass/fail course. Students must have a Pro 1 certificate, a AAA-recognized Avalanche Rescue course, a minimum of 40 days of operational experience over two winter seasons, and have a letter of reference from a supervisor. Please, visit avtraining.org for the most up-to-date information.